Back pain affects most Americans and is the number one reason people go to see a doctor. If you want an operation on your back, tell an orthopedist these five words: “Hey, doc, my back hurts.” And don’t be surprised to hear that your pain is caused by a bulging disc. 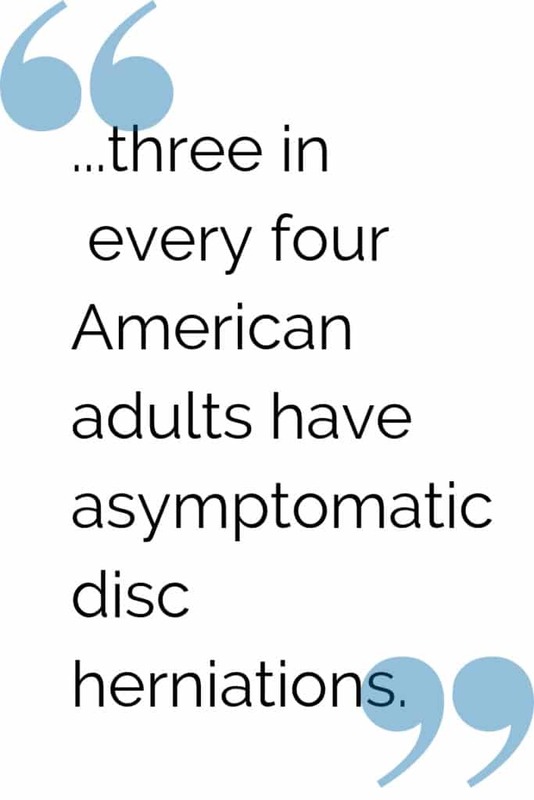 It turns out three in every four American adults have asymptomatic disc herniations. 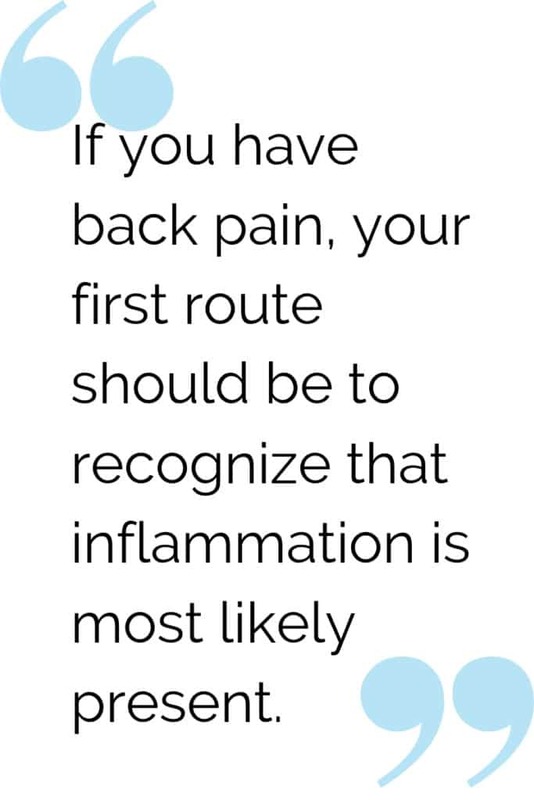 That means most people in any class I teach have at least one of them yet may have no pain. 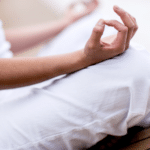 So what is a key cause of bulging discs, herniations, and overall back pain? Issues in your fascia and the deep, intrinsic muscles that stabilize, support and protect your spine. When you sit for long periods of time, these muscles can atrophy, and fat and even fascia can replace the regions where muscle once lived, so when you stand, there’s nothing there to stabilize your spine. Fat doesn’t stabilize anything, and when it’s deep along the spine, you are setting yourself up for disaster. 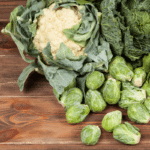 Also, your psoas muscle – a key muscle that also attaches to the spine – can become locked short and become unresponsive to movement, and it, too, is a common culprit behind back pain. Get up every hour and move your spine, stretch, walk — just move. Perform my MELT Recovery Sequences like the Lower Body Rehydrate, Lower Body Compression, Seated Compression Sequence, Lower Body Length Sequence, and the Foot Treatments to improve the supportive qualities of your fascia and keep you stable on your feet. Practice sequences from my MELT Performance Program as a simple way to reconnect to your NeuroCore and the intrinsic aspects that stabilize the spine. Do the NeuroCore Stability Sequence or the Lower Body Stability Sequence once a week at a minimum to restore pelvic stability and core control. All you’ll need for these sequences is a MELT roller (or Performance roller) and a Hand and Foot Treatment Kit. You can watch streaming video of these sequences and more on MELT On Demand. 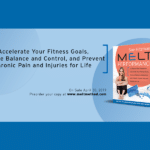 Whether you’re active or sedentary, young or old, MELT can give you the tools you need to combat back pain in as little as 10 minutes a day with self-care techniques.